Mariano Rivera wasn’t perfect at converting save opportunities during his career as baseball’s greatest closer (though it often seemed like it), but he was perfect in the eyes of voters for the Hall of Fame. Rivera received all 425 votes in Baseball Hall of Fame election results announced Tuesday, becoming the first player to be chosen unanimously. Former starting pitcher Roy Halladay, designated hitter Edgar Martinez, and starting pitcher Mike Mussina were also elected by the Baseball Writers Association of America. A candidate must receive 75 percent to be elected. Halladay was killed when the plane he was piloting crashed in the Gulf of Mexico in November of 2017. He was just 40 years old. The righthander spent 12 years with Toronto and four with the Phillies. He threw two no-hitters, including only the second no-hitter ever thrown in the postseason. Only one player has previously had a Blue Jays’ logo on their Hall of Fame plaque (Roberto Alomar), but Halladay seems sure to join him. Rivera holds the all-time record for saves (652) and games finished (952). His ERA+ of 205 is also the best in history for pitchers with at least 1,000 innings. He was phenomenal in the postseason, posting a 0.70 ERA in 32 playoff series and more than 140 innings. He recorded 42 saves in the postseason, 11 in the World Series where he helped the Yankees win five titles. Mike Mussina fell short earned election in his sixth year on the ballot, making it by seven votes, he was fourth in voting. In his seventh year on the BBWAA ballot, Curt Schilling (60.9%) moved closer to the 75 percent threshold and seems destined to eventually earn election. Controversial and polarizing comments on social media have hurt Schilling’s case with some voters. Suspected steroid users Barry Bonds and Roger Clemens continued to gain support in their seventh year on the ballot. Clemens (59.5%) received two more votes than Bonds, who got 59.1% of the vote. The controversial candidates finished sixth and seventh. Their momentum is stalling however, and with three more chances they will have to gain about 70 more votes to be elected. Martinez, a two-time batting champion who spent his entire career with the Mariners, finally earned election in his tenth and final year on the ballot with 85.4%. His election may signal a willingness to accept designated hitters in the Hall of Fame. He becomes the third player elected who played all or a large bulk of his career in Seattle, following Randy Johnson and Ken Griffey Jr.
Former slugger Fred McGriff did not get enough support (39.8%) in his last chance on the ballot, which means his only chance now lies with the veterans committee. McGriff was a popular hitter in the 1980s and 1990s, was never connected to performance-enhancing drug use, and has power numbers that are a little below those who were accused of using PEDs. His candidacy has split the fans who follow the Hall of Fame voting, many traditionalists support his election. Former outfielder Larry Walker, a three-time batting champion, former MVP, and owner of a .313 career batting average, continued to draw more support, jumping more than 20% in his ninth year on the ballot, it appears he has a chance to be elected by the BBWAA in 2020. Next year will be his final try on the writers’ ballot. First-year candidates Todd Helton (16.5%) and Andy Pettitte (9.9%) received enough votes to stay on the ballot and will get a second look next year, but neither got as much as 20 percent, and it appears they will have an uphill struggle to be elected. Rivera’s voting percentage eclipses the former record of support held by Griffey Jr., who received 99.3% in 2016. Only three voters left Griffey Jr. off their ballots, while Rivera was named on every ballot submitted. Late last year one writer revealed that he would not submit a ballot because he did not feel closers should be in the Hall of Fame and he didn’t want to stop Rivera from being unanimous. While the unanimous selection is historic. some experts do not feel it’s that important, as legends like Babe Ruth, Hank Aaron, and Tom Seaver didn’t get 100%. 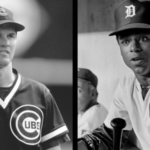 Rivera is the second player elected who was born in Panama, joining Rod Carew. Raised in Puerto Rico, Martinez joins Alomar and Robert Clemente as the only inductees who are natives of that island. Halladay is the second Hall of Famer born in Colorado, following Goose Gossage. Mariano Rivera, Edgar Martinez, Mike Mussina, and Roy Halladay join Harold Baines and Lee Smith, former players who were elected by the veterans committee last December, to form the Hall of Fame Class of 2019. 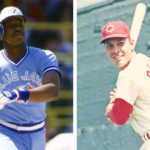 The 2019 Hall of Fame Class will include two relief pitchers and two designated hitters, the first time more than one player at those positions has been inducted in the same year. Rivera is the eighth pitcher elected who was primarily a reliever (or elected primarily because of their relief pitching career). He joins Dennis Eckersley, Rollie Fingers, Goose Gossage, Trevor Hoffman, Lee Smith, Bruce Sutter, and Hoyt Wilhelm. Martinez played 1,403 games at designated hitter, the second highest total for a Hall of Famer, behind Baines, who appeared in 1,643. Martinez played 70 percent of his career games as a DH, the highest total for a player elected to the Baseball Hall of Fame. The only other players who appeared in at least 1,000 games as a DH who are in the Hall of Fame are Paul Molitor and Frank Thomas. Hall of Fame Induction Weekend takes place on the third Sunday in July in Cooperstown, New York. 319 votes were required to election. Players who received less than 5% are removed from the ballot.